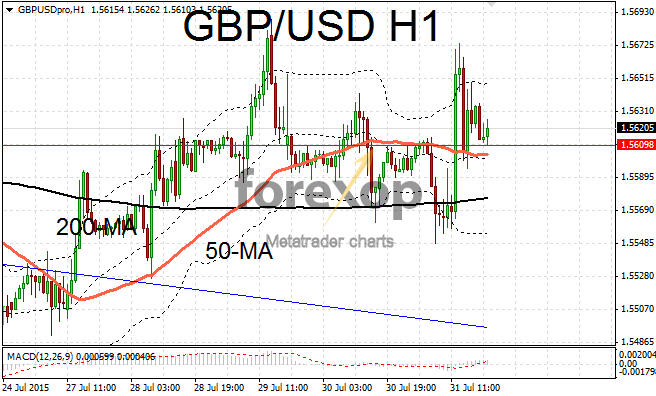 Sentiment in GBP/USD remains relatively strong with the Bank of England expected to be not far behind the Federal Reserve in terms of their interest rate schedule. Cable is trading consistently above the 50-day moving average which is a positive sign. This is despite a good deal of daily volatility that’s seen occasional breaks below support levels. There’s some reasonable support around 1.5609 which is resisting moves below this horizontal. While 1.5665 is forming upper resistance and keeping upward moves in check. 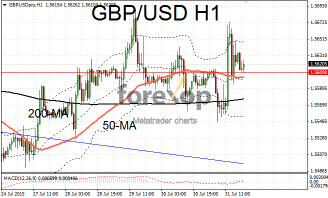 EUR/GBP experienced some large intraday swings on the release of the economic data from the US. This correlation comes as a result of markets viewing the Bank of England as being closely tied to the Fed’s rate cycle. EUR/GBP ended up at 0.7028 well below the high which reached 0.7097. This will prove to be a busy week on the economic front for the British currency. Manufacturing PMI is due on Monday, while the survey for the UK’s service sector is out on Wednesday. House price data is also scheduled for midweek. The minutes from the Bank of England’s last monetary policy meeting will be out on Thursday together with the inflation report. In addition the euro may also see some activity. Key events to look out for are the release of the German manufacturing data at the beginning of the week. Retail sales numbers for July are out on Wednesday. German trade figures will also be released on Friday.